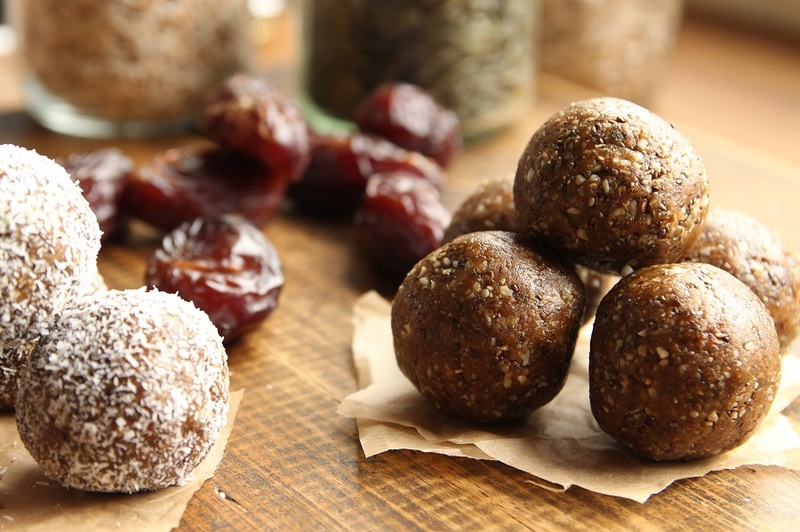 These healthy vegan no bake energy balls are my latest sweet treat obsession! Naturally sweetened, they’re packed with insanely healthy ingredients, taste heavenly, and keep my energy levels high while at the same time also getting my omega 3 and other essential nutrients in. See, some days I’m not in the mood to sprinkle ground flax seed over my meals or drink a chia fruit smoothie. So, when I’m having one of those days these protein balls sure do come in handy. 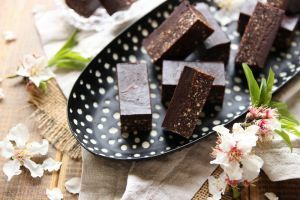 They’re nutritious, addictive, packed with plant-based goodness, take just 5 minutes to make and are perfectly infused with peanut butter! 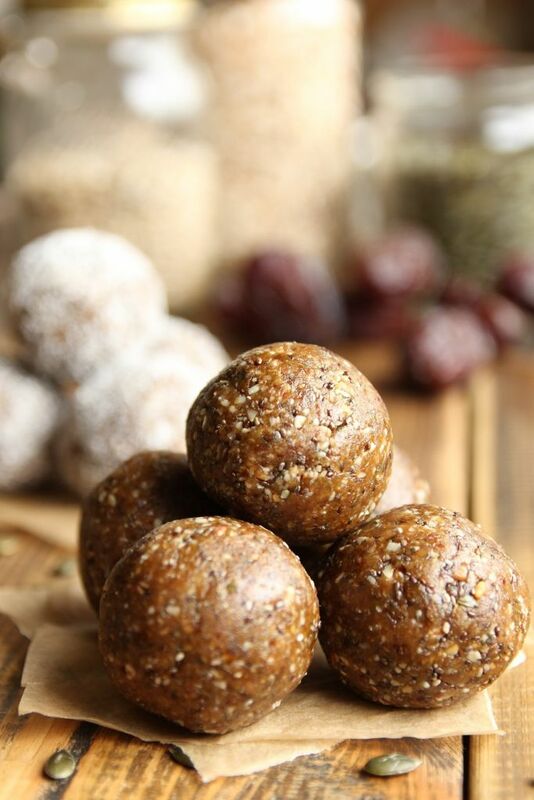 I call them energy-boosting protein balls! 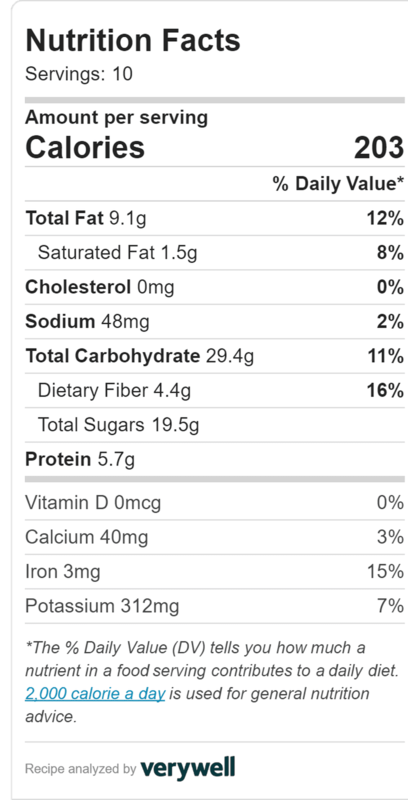 Plus, each vegan energy ball has almost 6 gr of protein, not to mention all the nutritious ingredients like sunflower seeds, flaxseeds, chia seeds, and pumpkin seeds. So, what are you waiting for? Give them a try and let me know how you liked them below. Don’t be shy! Place the oatmeal, pumpkin seeds, sunflower seeds, chia seeds, ground flaxseed and almonds into a food processor and blend until coarse. Next, add the medjool dates, pits removed, and blend until well combined. Finally, add the peanut butter, along with the blackstrap molasses and blend until mixture forms. Check if the mixture sticks between two fingers, if not, pulse a few more times until well combined. Evenly divide your energy ball mixture into 10 balls and roll. You can roll half in shredded coconut, like I did, or leave them as is. Store in the fridge in a closed container for up to 2 weeks and enjoy! 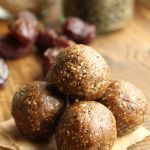 Loaded with plant-based goodness, these healthy vegan no bake energy balls take just 5 minutes to prepare! Place the oatmeal, pumpkin seeds, sunflower seeds, chia seeds, ground flaxseed and almonds into a food processor and blend until coarse. Add the medjool dates, pits removed, and blend until well combined. Add the peanut butter, along with the blackstrap molasses and blend until mixture forms. 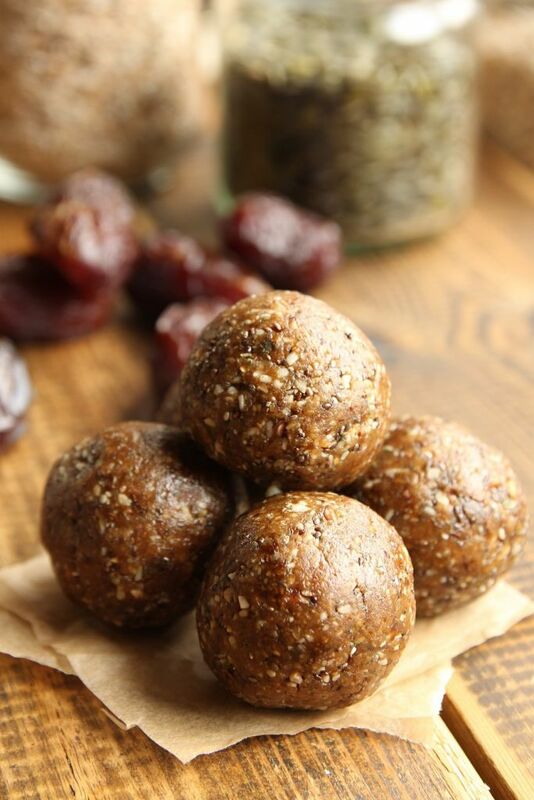 Pin These Vegan No Bake Energy Balls Now And Make Them Later! 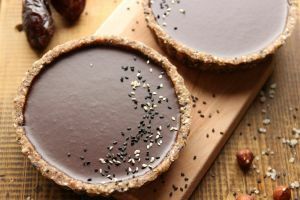 Next time give my No Bake Tahini Infused Chocolate Tarts and my No Bake Chocolate Slice Bars a try! They are ridiculously delicious and easy to make! ← Ultimate Vegan Lasagna Recipe To Try Today! Excellent recipe ! Quick, easy, and tasty ! Thank you Elinor. Only 5 minutes to make and contains peanut butter? Sold!